GWT 630 is a former South Yorkshire Albion Valkyrie CX13 of 1947 vintage, though some sources say that it entered service in 1948. 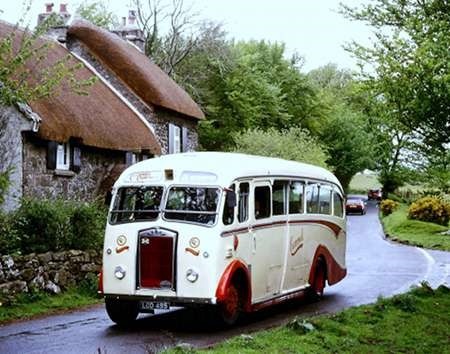 It is pictured on the HCVC Brighton Rally in 1971, but after a change of ownership, it subsequently underwent a complete restoration in 2009. 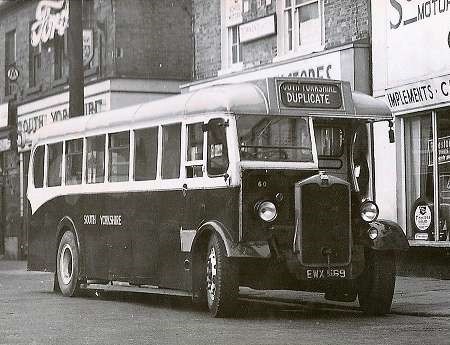 The Burlingham coach body seats 33 passengers. 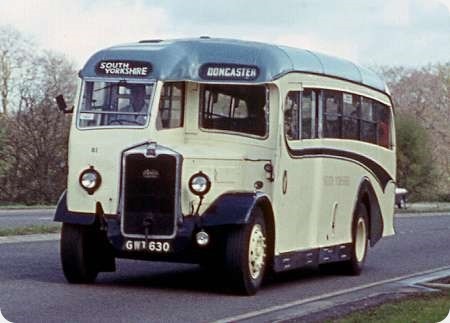 This was the first post war coach bought by South Yorkshire (a devotee of the Albion marque), but it is thought that it covered a relatively low mileage in South Yorkshire service, the heavy sliding door being unpopular with lady conductors on stage carriage work. The 17ft 7ins wheelbase Valkyrie CX model was introduced by the manufacturer at the 1937 Commercial Motor Show, and was originally offered in three versions – CX 9 (6.1 litre 85 bhp 4 cylinder petrol), CX11 (Gardner 5LW) and CX13 (9.1 litre 120 bhp 6 cylinder petrol, or Gardner 6LW). Production stopped during the war but restarted in 1945 with the emphasis being on diesel power (Albion changed from indirect to direct injection in 1937), though the petrol options remained. The post war Valkyrie was offered as the CX9 with 6.6 litre four cylinder oil engine (Albion always eschewed the use of the word “diesel”), the CX13 now being fitted with the EN242, the oil version of the 9.1 litre six cylinder developing 105 bhp. A four speed constant mesh gearbox in unit with the engine was standard. The CX9 continued to be available until 1950, but the CX13 was replaced on the home market in 1948 by the fundamentally similar Valiant CX39 which had the more powerful 120 bhp EN243B 9.9 litre engine employed in the Venturer CX37 double decker. All Valkyrie and Valiant production ended in 1950, and Leyland took over the Scotstoun firm in the following year. Interesting photo and stuff, Roger, thx. Somehow, the whole look of the vehicle is somewhat spoilt by the rather small and therefore out of proportion radiator. Pre-war chassis were better in this respect and if there was a large sun across it as well, so much the better!